The Jeep Wrangler originated from the military vehicle, Willys Jeeps. Willys made a civilian version of the Jeep dubbed the CJ. 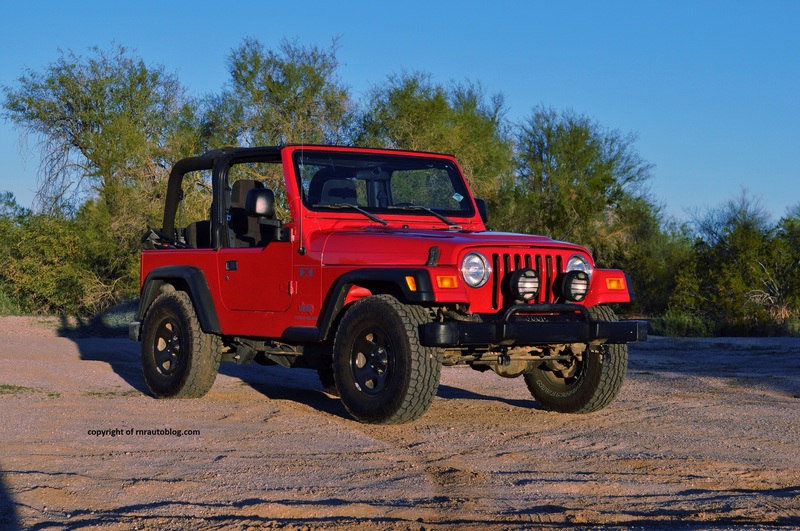 In 1986, Chrysler (owner of Jeep) replaced the slow-selling CJ with the first mass market Wrangler. 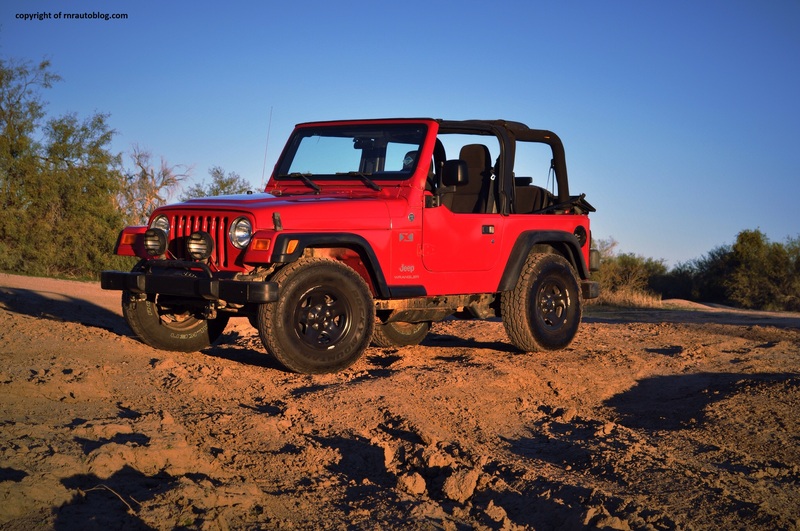 This Wrangler became successful and a symbol of American pride. The Wrangler was seen as a car which you just simply enjoy life in. No wonder the Wrangler has appeal as a midlife crisis car for some people. It was unique due to its off road ability, retro looks, and overall cool factor. The fact that you could take the doors and top off didn’t hurt either. 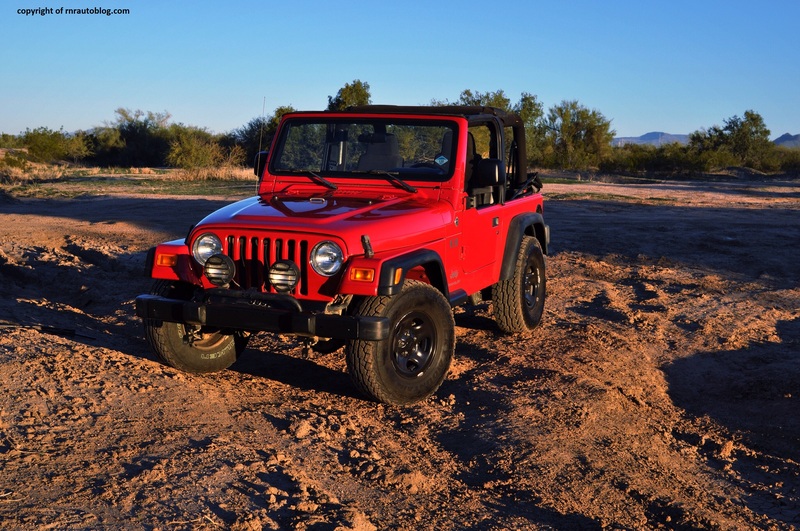 The Wrangler was redesigned in 1997, and that is when the Wrangler really took off. 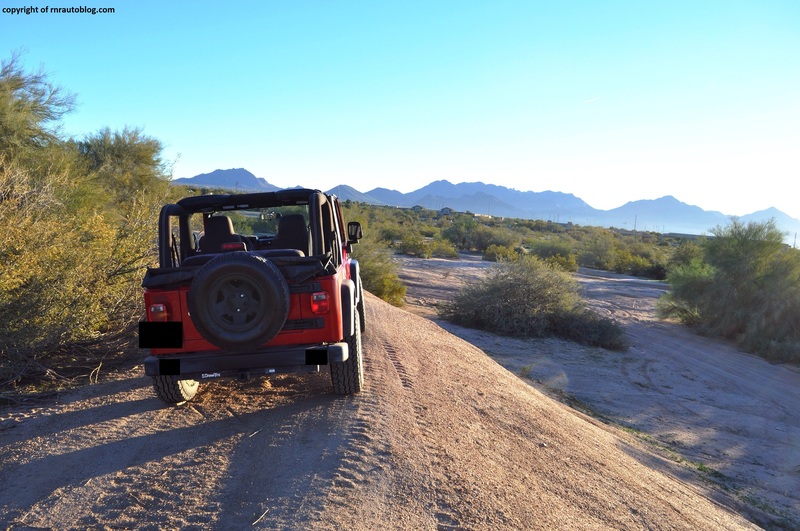 Building on the older Wrangler’s traits, it was more comfortable, faster, and bigger, but still retained its off road prowess. Believe it or not, the Wrangler is retro. It successfully calls back to the Willys Jeeps while staying modern. That being said, the Wrangler does have nice design details. It is a very minimalist design, with a slab sided body. The grille is retro, while the round headlights and square tailights are new (at the time for this generation). 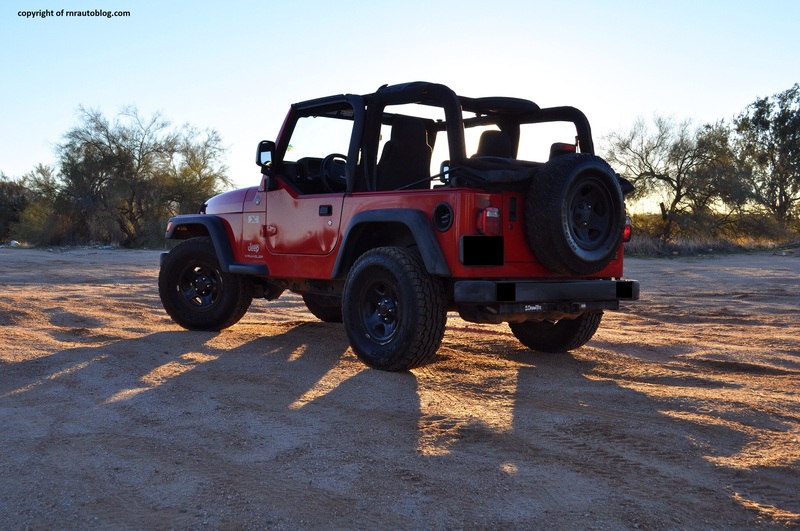 Jeep did a great job with the cloth top. It does not interfere with the body, and it adds to its character. If I had to be picky, I would mention how I do not like how the fender flares stop at either the front or rear wheels at the doors. It looks unfinished. However, there is a youthful look to the Jeep. Sadly, this isn’t carried over to its interior. Chrysler (which owns Dodge and Jeep), had a habit of putting the same interior design in their cars, regardless of the model (Like the Dodge Charger SE that I reviewed earlier). One thing for sure, the Wrangler’s off roading ability is impressive. Dealing with dirt hills, bumps, and dips is no problem at all. The high ground clearance enables it to go over rocks and stones effortlessly. The structure is solid, and does not rattle or creak over rough surfaces, which is surprising given its age. It feels agile and light, and takes abuse without any complaint. The 4WD system is part-time, and it works without any hesitation. The Wrangler really puts a smile on your face when you’re just gliding over the rough surfaces with the top down in sunny weather. Sadly, the off road behavior does not mirror the on road behavior. The steering is slow and vague, and handling is clumsy. Go fast in a corner, and you’re treated with dramatic body lean. 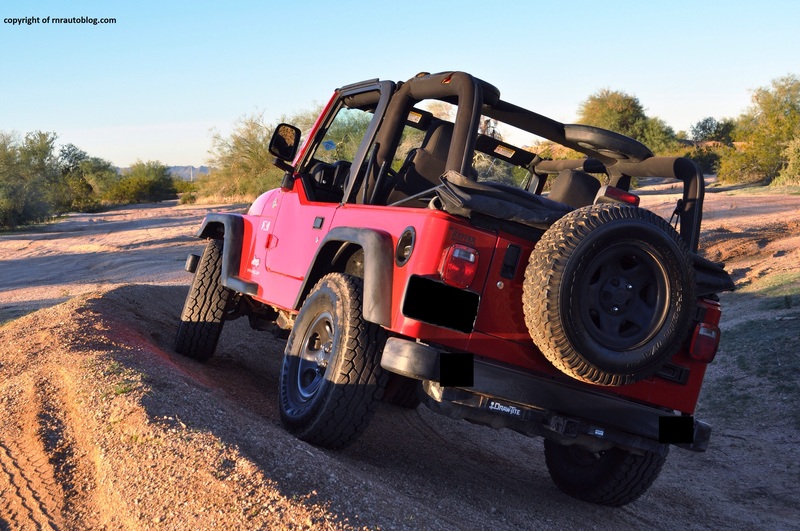 It is not surprising that Jeep Wranglers are not recommended for teenagers given their tendency to flip over. The ride quality is jittery, but it becomes slightly smoother on the highway. Braking performance is adequate. 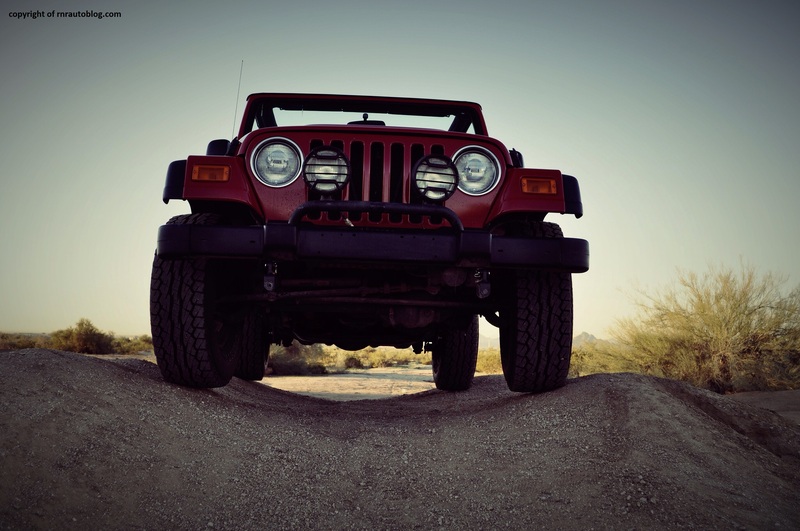 Except for the latest generation, Jeep Wranglers have always relied on straight line six cylinder engines. 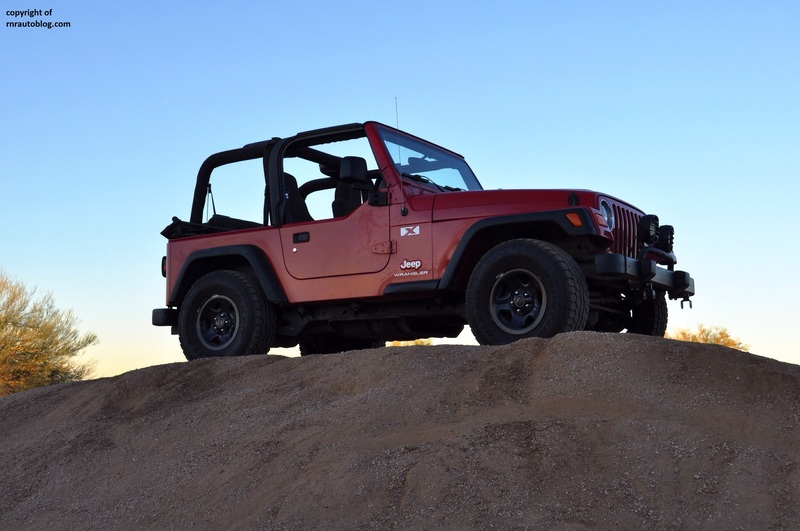 This Wrangler is no exception as it is powered by a 4.0 liter six cylinder engine making 190 horsepower. In a light vehicle as this, the engine is adequate. It is not powerful, but it is smooth and there is a broad power band. Fuel economy is around 14-18 mpg depending on engine and transmission. The six speed manual transmission is a joy to use. It is smooth and light and changing gears is a breeze. I was amazed at how easy this car is to drive. The clutch has long travel, but it is easy to modulate and has good feel. 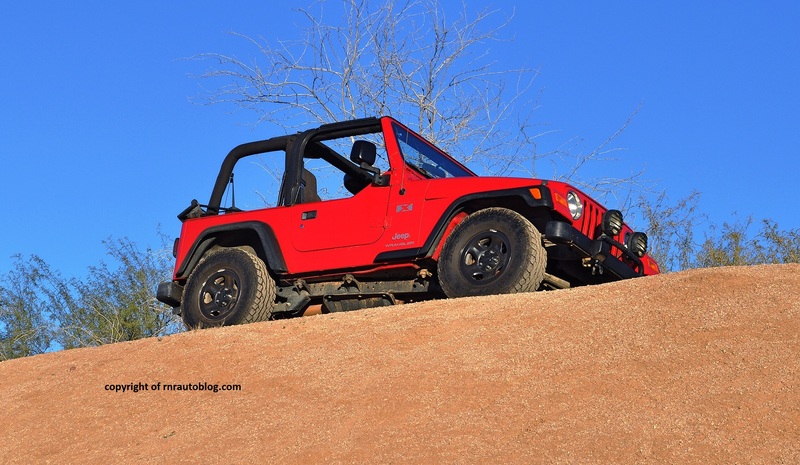 As I reviewed the Wrangler with the top off, I did not have a chance to evaluate the noise levels. Again, with the top down, I was unable to evaluate the visibility with the top up. Visibility is excellent with the top down, and due to the high driving position, you have a good view of the road. Fit and finish is decent as the interior feels solid. However, the surfaces and controls feel cheap and flimsy. But the point of a Wrangler is not to be luxurious. Access is hampered by the high step in, and getting into the back requires some effort. The seats could use a bit more support. The controls are easy to use, and the gauges are simple. The handbrake requires a tug in order to disengage. Driving position is spot on. It’s a shame that there is no footrest for your left foot. Cargo space is miniscule. Despite the flaws, the Wrangler is full of charm. I see Wranglers everywhere, and after reviewing this, I understand why. It is literally the epitome of America. When you drive this car, you are feeling very American, and you feel proud to be in America. It is no wonder that the latest Wrangler is Jeep’s best seller. Even the super strict (and yes they are strict) Consumer Reports magazine has admitted that the Wrangler is very flawed, but it is lovable. 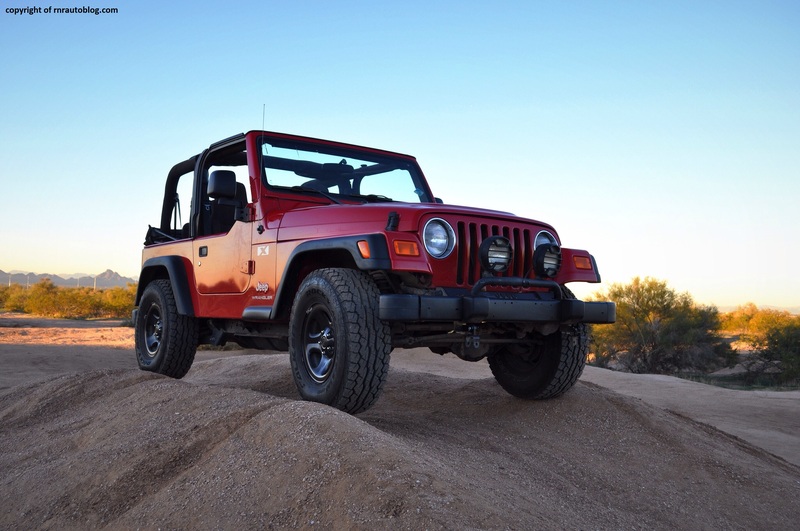 It is a shame that the Wrangler is moving away from its roots in its latest generation. It is still the same lovable and capable off roader, but its perception has changed. It is selling well because of its image, not because of its substance. While that may seem like a good thing, perception is usually what changes a person, or in this case, a car. For example, BMW used to be a company that prioritized driving pleasure but as its status elevated, BMW started adhering to the people who liked BMWs due to the image. As a result, the latest BMWs are not as fun to drive as the earlier BMWs. The same thing is happening to Jeep. The Jeep Cherokee is proof. It was a boxy and go-anywhere kind of SUV, and now it has morphed into a crossover. This is going to sound one-sided, but people are buying the Wranglers with all kinds of luxury options and most importantly, an automatic transmission. 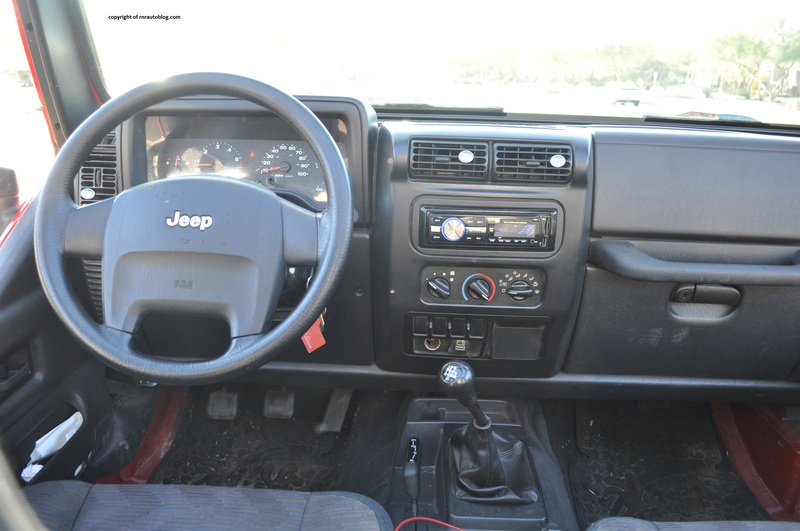 This may seem pessimistic, but the manual transmission is a big part of the Wrangler driving experience. And when you take that away, it feels less fun to drive. I simply loved driving this Wrangler because it feels human. Sure, it may not ride well, and its body control is laughable, but its charm makes up for it. Add that with the manual transmission and the retro looks, and you have a vehicle that is full of charisma. Nobody is perfect.